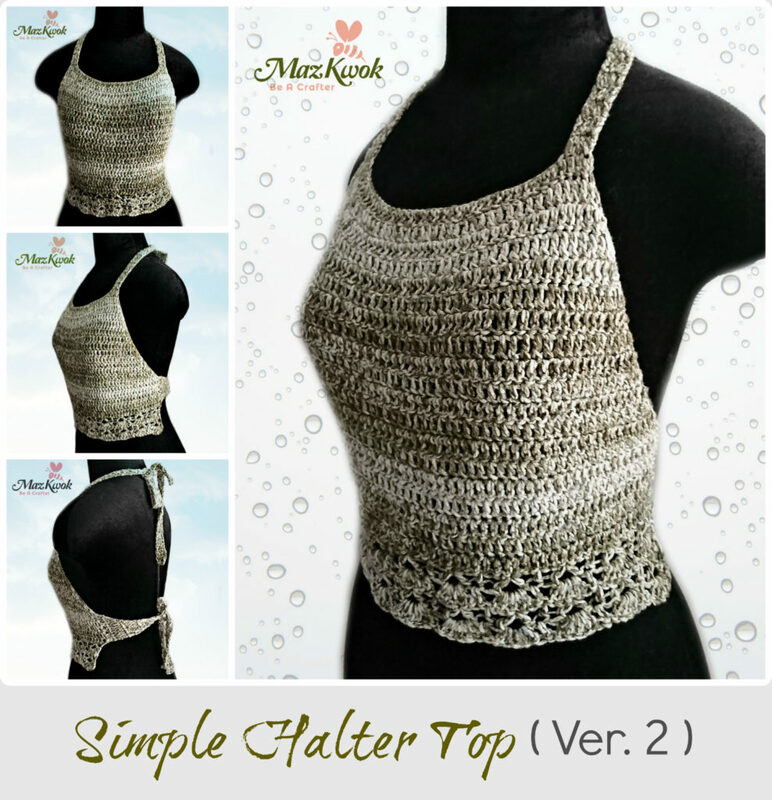 This crochet Simple Halter Top (version 2) pattern fits size L ( chest size: 36 to 38 inches ). R1: ch 45, dc into 3rd ch from hook ( first 2 ch doesn’t count as 1st dc ), dc across, total 43 sts, turn. R2: inc dc into 1st stitch, 41 dc across, inc dc into last stitch, turn. R3: inc dc into 1st stitch, 43 dc across, inc dc into last stitch, turn. R4: inc dc into 1st stitch, 45 dc across, inc dc into last stitch, turn. R5: inc dc into 1st stitch, 47 dc across, inc dc into last stitch, turn. R6: inc dc into 1st stitch, 49 dc across, inc dc into last stitch, turn. R7: inc dc into 1st stitch, 51 dc across, inc dc into last stitch, turn. R8: inc dc into 1st stitch, 53 dc across, inc dc into last stitch, turn. R9: inc dc into 1st stitch, 55 dc across, inc dc into last stitch, turn. R10: inc dc into 1st stitch, 57 dc across, inc dc into last stitch, turn. R11: inc dc into 1st stitch, 59 dc across, inc dc into last stitch, turn. 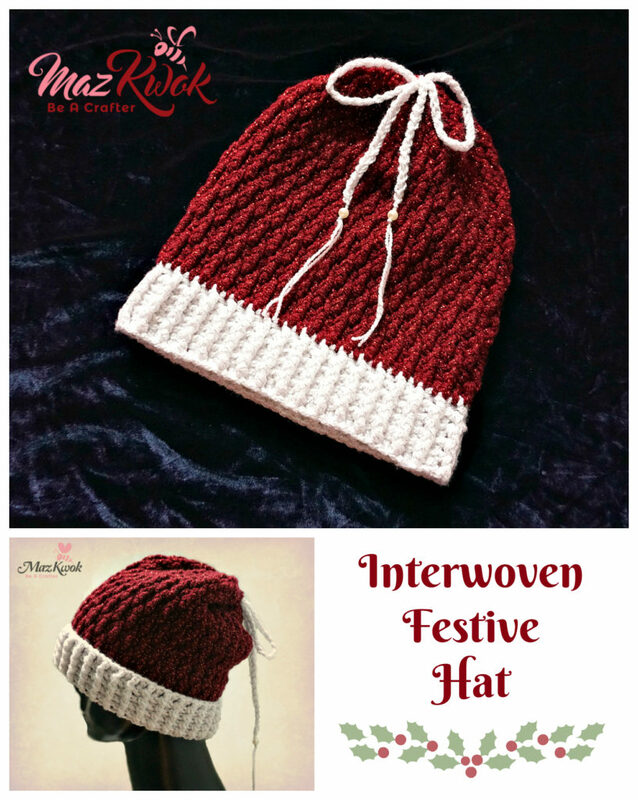 R12: inc dc into 1st stitch, 61 dc across, inc dc into last stitch, turn. R13: inc dc into 1st stitch, 63 dc across, inc dc into last stitch, turn. R14 to R19: 67 dc across, turn. R20: dc into 1st st, *skip 2 sts, (dc, ch3, dc) into next st, skip 2 sts, dc into next st* repeat ** 11 times across, turn. R21: dc into 1st st, *skip 1 st, 5dc-shell stitch into next ch3-space, skip 1 st, dc into next st* repeat ** 11 times across, turn. R1: 4 dc across, turn. R1: 12 dc across ( make 2 dc into each vertical dc bar ), turn. R2: dec dc, 10 dc across, turn. R3: 9 dc across, dec dc, turn. R4: dec dc, 8 dc across, turn. R5: 7 dc across, dec dc, turn. R6: dec dc, 6 dc across, turn. R7: 5 dc across, dec dc, turn. R8: dec dc, 4 dc across, turn. R9: 3 dc across, dec dc, turn.